A Data analytics technique that uses machine learning to drive changes and improve business practices by developing deeper insights, making predictions, and generating recommendations. JASStek forecast models in Revenue, Cost, Budget & Vault were delivered with over 95% accuracy. JASStek’s predictive data models enhance safety by reducing wrist injury rate at a major theme park. 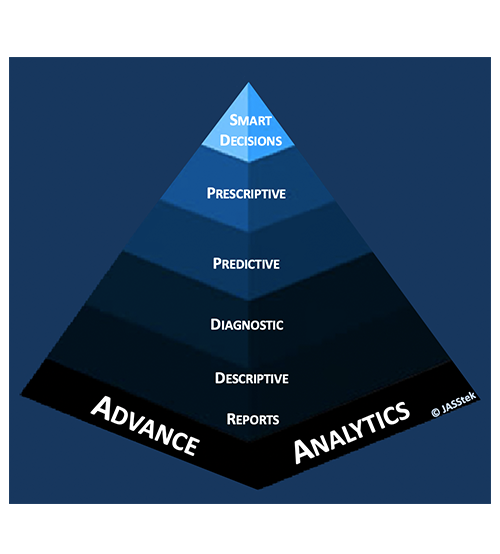 JASStek’s advanced analytics and artificial intelligence models enhanced defense operational readiness. JASStek’s Dyslexia model helps identify children needing early intervention. JASStek’s Building material forecasting model enhances profit margins by placing just-in-time orders. JASStek Claims analytics model reduces fraud by analyzing submissions prior to payments. JASStek has experience in various city analytics solutions including Finance, Human Resource, Traffic, etc. Contact today, for conversation with Advance Analytics thought leader, to help you reinvent your business.